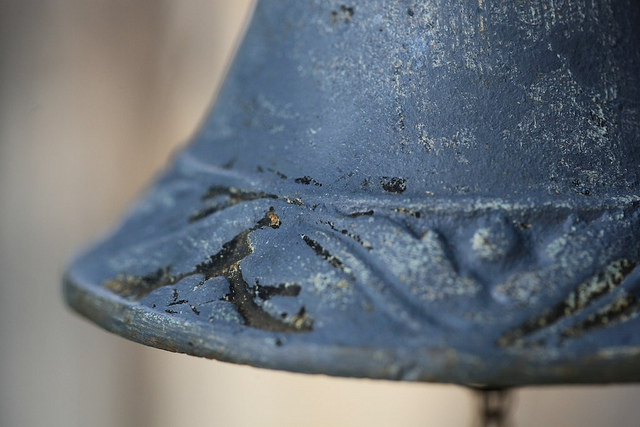 While hobbies such as reading groups, Sunday league football and Zumba classes are well known about across the country, many people may be unaware of the very skillful pastime of bell ringing. However, thanks to one bell ringing group from Surrey, this may soon be about to change. The St Lawrence Chobham Handbell Ringers appeared on the popular Radio 2 breakfast show presented by Chris Evans just before Christmas, and now more people than ever are talking about the musical hobby. The St Lawrence Chobham Handbell Ringers, based in Surrey in the South West of England, have been around since 1977. They were originally a branch of the wider bell ringing group, the Chobham Tower Bell Ringers. Alan Collings was the founding member of the group, along with other members of the parish church of St Lawrence. Alan remained a strong leader for the group up until his retirement in 2003, by which time the group had grown to a strong team of twenty members and enjoyed many successes already. The Ringers have taken their talent across the globe many times; they have attended the International Symposia in Canada and America, and have also toured throughout France, the Netherlands, Australia and Barbados. They have also tasted fame before, appearing most notably on Bruce Forsythe’s Generation Game in the 1990s. It was due to their excellent reputation that they were invited onto Chris Evans’ breakfast show on Radio 2. The sound of hand bells has always been connected with Christmas, and so they were the perfect instrumental choice for the special Christmas-themed shows which the presenter put on during December. The Ringers performed a total of five traditional carols throughout the show, including ‘O Come Emmanuel’, ‘The Holly and the Ivy’ and the very apt ‘Jingle Bells’. They were also interviewed by Chris Evans during the three-hour slot, and were even lucky enough to meet the Archbishop of Canterbury who also appeared on the show. Exposure of this kind is brilliant publicity for a hobby such as bell ringing which is relatively unknown about in this country. The Chris Evans breakfast show is listened to by over eight million people a day, meaning that listeners who may not have known much about the art of ringing hand bells could have been listening to them for the first time. Once more people know about the enjoyable pastime, it could lead to increase in group membership and, hopefully, more funding for existing groups.